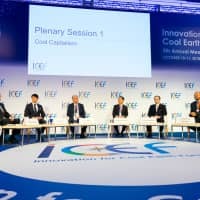 Over 1,000 people from Japan and abroad concerned with climate change discussed technological innovations addressing the global issue at a recent international conference in Tokyo. Under the theme “Driving Green Innovation,” the annual Innovation for Cool Earth Forum (ICEF) was hosted by the Ministry of Economy, Trade and Industry and the New Energy and Industrial Technology Development Organization (NEDO) on Oct. 10 and 11 in Tokyo. 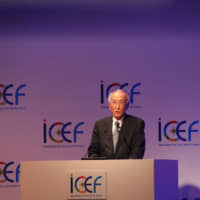 ICEF Steering Committee Chair Nobuo Tanaka said in his opening remarks that action, not talk, is what matters. “This year’s (conference) title is ‘Driving Green Innovation,’ aiming at the ultimate goal of achieving net-zero carbon dioxide emissions. We focus on action; just talking is over. We need action, especially in the business sector,” said Tanaka, who is chairman of The Sasakawa Peace Foundation and former executive director of the International Energy Agency. 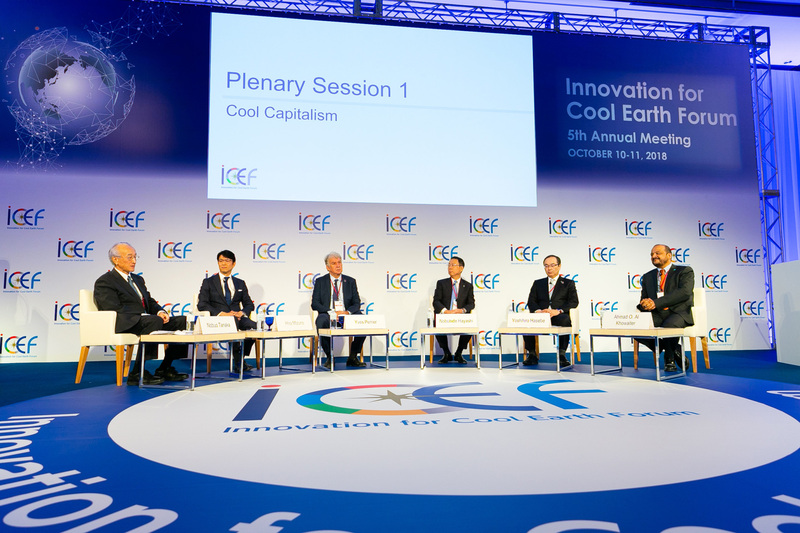 Executives from the financial and business sectors discussed the theme of “Cool Capitalism” in the first plenary session, moderated by Tanaka. Hiromichi Mizuno, chief investment officer of the Government Pension Investment Fund, stressed the importance of innovation to achieve the Paris Agreement climate target of limiting the global average temperature rise to less than 2 degrees Celsius, and pursuing efforts to limit the increase to 1.5 degrees. “Whether we are talking about 2 degrees or 1.5 degrees, it cannot be met without technical innovation. 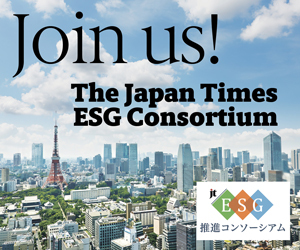 We have to count upon the scientists, researchers and business innovators to bring those innovations to the market,” said the CIO of the world’s largest pension fund that has advocated investment on the environmental, social and governance (ESG) front. Yves Perrier, CEO of Amundi Asset Management, noted that the Paris-based company defined ESG as one of its founding pillars when it launched in 2010. Mizuho Bank Ltd. Chairman Nobuhide Hayashi stressed the importance for companies to change their perspective on environmental issues. Meanwhile, Yoshihiro Hasebe, Kao Corp.’s chief technology officer, introduced the major household products maker’s efforts on the environmental front. One of these is called “RecyCreation,” which transforms refill packages into reprocessed resin blocks. Ahmad O. al-Khowaiter, chief technology officer of Saudi Arabian Oil Co., said the world’s leading integrated energy and chemical company is committed to sustainability. He noted about a third of its research goes into sustainable technologies. The two-day conference had three plenary sessions and 12 concurrent sessions. More than 1,000 people from government institutions, international organizations, industrial and academic circles from some 70 countries and regions participated, according to the organizers. 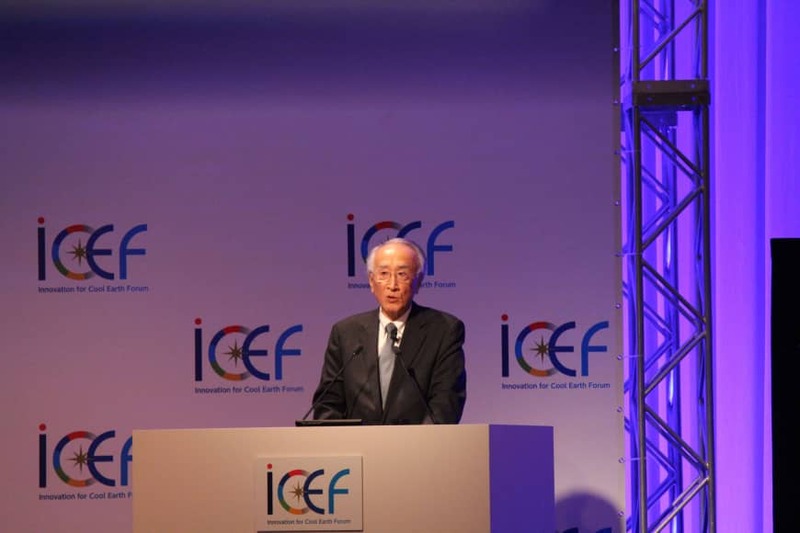 At the closing session on Oct. 11, NEDO Chairman Hiroaki Ishizuka reiterated the international forum’s aim toward net-zero carbon dioxide emissions. “In order to achieve this, it is necessary for all of us to make our best effort and it is important to not only promote innovative technologies, but also innovation of social systems,” Ishizuka said. According to the organizers, ICEF’s efforts include developing road maps on “how key innovative technologies can contribute to a transition to clean energy.” During the closing session, a draft of the “ICEF Roadmap 2018: Direct Air Capture of Carbon Dioxide” was announced for final release at the 24th Conference of the Parties to the U.N. Framework Convention on Climate Change, scheduled for December in Katowice, Poland.